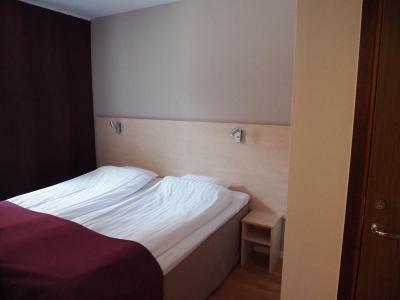 Lock in a great price for Hotel Vilja – rated 8.5 by recent guests! - the best breakfast ever during my trip in Sweden! The staff were extremelly helpful! We appreciated being able to have a handicapped-room, but there was no "grab-bar" to hold onto in the shower. Grateful for the extra service, supplying upon request, a shower-stool in the handicapped-shower. Very pleased with the breakfast buffet options, good food. Hostess for the breakfast was very helpful, pleasant, and easy to understand her English. Appreciated the cold water fountain where we could refill our bottles. The room was old but adequate and clean. Breakfast was delicious and varied. 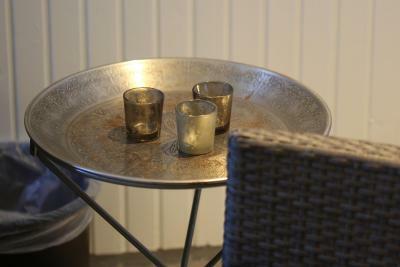 Unusually for Scandinavia, there was excellent free Espresso. Parking was free and plentiful. Loved the collection of old gasoline pumps ! Overall good value for the money. Excellent and friendly staff. Good breakfast. The hotel is relatively cheap and close to downtown (appr. 10 minute walk). Just follow one straight road and you're in the heart of the city. No big deal even if you're not familiar with Umeå. It's also nice and quiet there and the staff is friendly. Rooms are basic but comfy and they have all the necessary amenities you'd want from a hotel room. Just don't expect $500/night hotels level of luxury, you won't find it here. This is an ideal hotel especially for budget travellers and/or if you're looking just to sleep there and not actually live in the room for 24/7. Free parking is also a big plus if you're travelling with your own car, like I was. And there's a fuel station right next to it, so if you arrive running on fumes you don't have to go search the city to refill. Just expect the same level as the name of the hotel. Ok. The location of the hotel was peaceful, in the middle of nice wooden houses residential area and close to outdoor museum area and hiking paths. The downtown was at a walking distance, though. What I especially liked was the evening snack with coffee. Great bed, not too soft, not too hard. 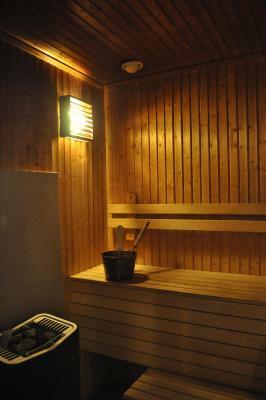 Really nice sauna. Evening snacks were a nice surprise! The hotel is situated in a picturesque area by the forest and wooden houses. Avslappnad atmosfär, normala rum med rena fräscha dusch/toalett på rummet..
Läget, lugnt men nära, bra parkering. Super frukost o mycket prisvärt. Hotel Vilja This rating is a reflection of how the property compares to the industry standard when it comes to price, facilities and services available. It's based on a self-evaluation by the property. Use this rating to help choose your stay! 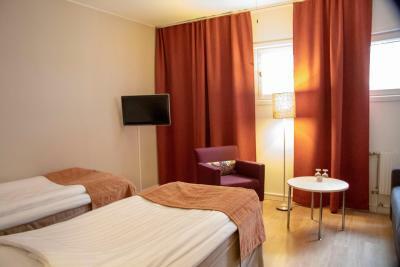 Hotel Vilja is located in a peaceful residential area, only a 10-minute walk from Umeå city center. 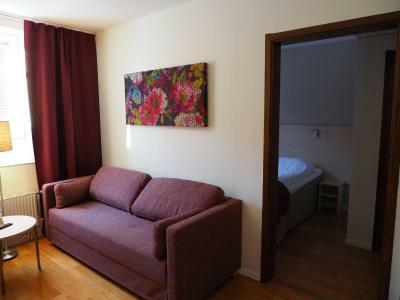 It provides free Wi-Fi, free parking and basic rooms with cable TV. 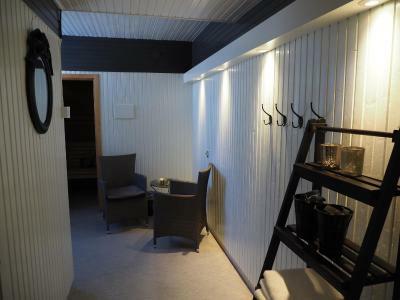 All rooms at Hotel Vilja feature a private bathroom with shower. Some rooms are air conditioned and some offers views of the atrium. A buffet breakfast is served every morning in the atrium dining room. A convenience store and car rental service is also provided. 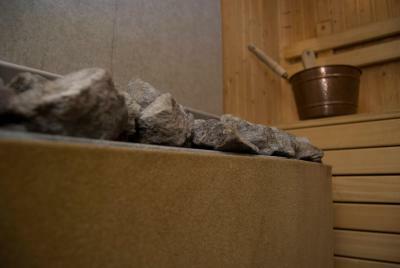 Relaxation options include a sauna. The Gammlia recreational area with its jogging paths, gym and open air museum is located only 650 feet away. This property is also rated for the best value in Umeå! Guests are getting more for their money when compared to other properties in this city. When would you like to stay at Hotel Vilja? Offers cable TV and a private bathroom. Some rooms include air conditioning and a view of the atrium. 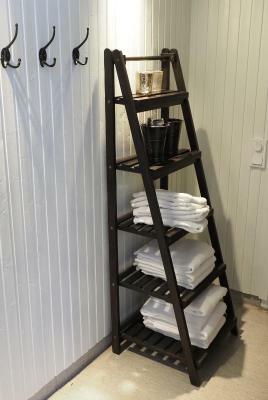 House Rules Hotel Vilja takes special requests – add in the next step! 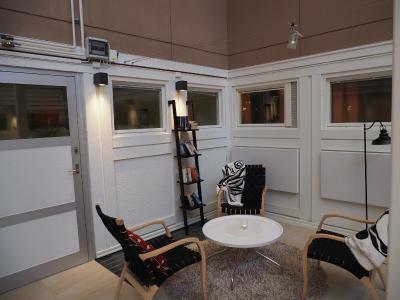 All children under 15 years are charged SEK 120 per person per night for extra beds. Hotel Vilja accepts these cards and reserves the right to temporarily hold an amount prior to arrival. Monday-Friday: 6:00 a.m. - 10:00 p.m.
Sunday: 7:00 a.m. - 4:00 p.m. Guest arriving outside of these hours are kindly asked to contact the hotel in advance. There was no grab-bar for senior adults in the handicapped shower. 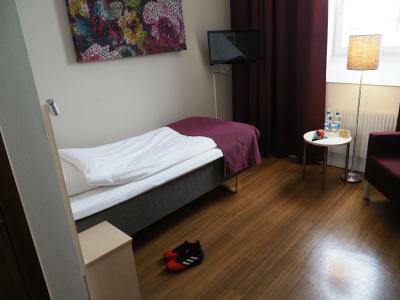 Perhaps there could be a better arrangement of the beds, so that persons in both beds would have easy access to the bathroom (in the night). Antiquated lighting which buzzed and blinked. Cleanliness. The bed linen was dodgey with hair pieces on it and several of them. Short face hair manly pieces and longer head hair pieces I guess. But meh, let's just say covering myself with the cover and laying my head on the pillow after seeing that stuff didn't help with a good night sleep. I arrived later than expected due to my flight being delayed from Manchester, when I arrived there was no staff on reception and no intercom number to dial save for a security office which hung up on me twice then on the third attempt told me to 'go to the gas station' all of which sounded very odd. When there however the staff knew the deal and handed me a card to get in to the hotel and explained where my room would be. All of this would have been completely fine if this was conveyed adequately when making the initial booking or there was information presented at the hotel premises on arrival instead of waiting in the cold for 20 minutes after 2 flights. So keep this in mind if this happens to you. Evening buffe overrated. It's sort of a simple breakfast (sandwiches and soft drinks). Still a free light meal, though. room and toilet were very clean.